Keep your team up to speed and provide better customer service by using notes in Jobber. Running a service business can mean you have an overwhelming amount of customer and job information that you need to manage—especially if you aren’t always the person in the field doing the work. Let’s say you do an on-site estimate for a client. When you get to the job site a few days (or weeks) later you might not be able to remember every single detail of the work that needs to be done. Even more challenging is when another member of your team has to do the work. This is where adding notes to your estimate that can then be viewed on the job will help make sure your future self (or another member of your team) has all the details they need to get the job done. 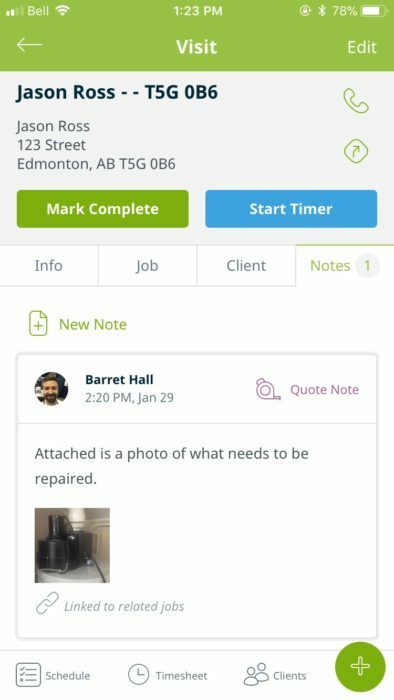 When the time comes to do the job, you’ll be able to quickly access all the notes and photos from the estimate when you access the Job in the field. Provide a picture of the home for field technicians if the home is in a new suburb and is difficult to find or not found on a map. Add a note if your client has a baby and they’ve requested you knock lightly on the door instead of ringing the doorbell. Remind your technicians to take payment via credit card if the client has had a check that has bounced in the past. No two clients are the same, so your notes will vary from client to client. And, of course, the type of notes will depend on your business and your clients. Either way—empowering and preparing your team will mean that they are providing better customer service. Sometimes the scope of a job or visit changes. A client may request some upgrades during the bathroom renovation you’ve been hired to complete. For lawn maintenance or cleaning companies, the client may have some requests in addition to their regular weekly services. In these cases, take a photo and write down note details when applicable. The notes can be linked to the invoice so when it comes time to invoice, nothing is missed. 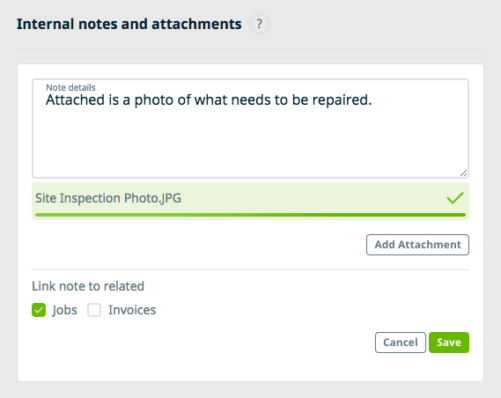 If you’re using Jobber, you can start adding and linking notes between clients, quotes, jobs, and invoices right away. As always, if you need any assistance, reach out to our Success Team. Free email and phone support is available with every Jobber plan. If you’re not using Jobber, you can get started with a free 14-day trial. 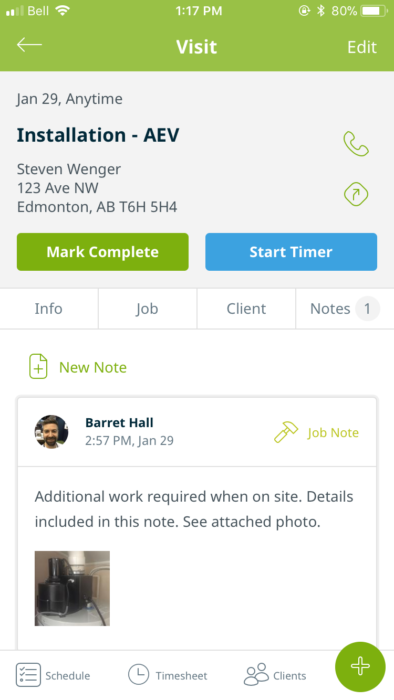 Try out Jobber’s CRM and you’ll keep track of important client details and notes whether you’re at the office, on the way to a job, or out in the field.